Everett (mandolin) and Bea Lilly (guitar) began playing and singing together in the 1930s. 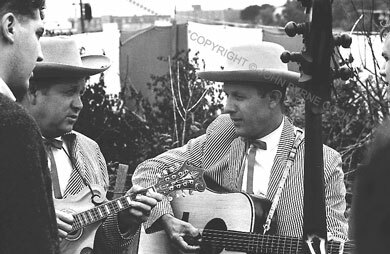 In 1952, the noted Texas fiddler Tex Logan brought them to Boston with their longtime friend, banjo-player Don Stover. As the Lilly Brothers & Don Stover (sometimes featuring Tex Logan), they introduced Southern mountain string band music to New England long before the folk music revival enabled them to play concerts and folk festivals for larger audiences.